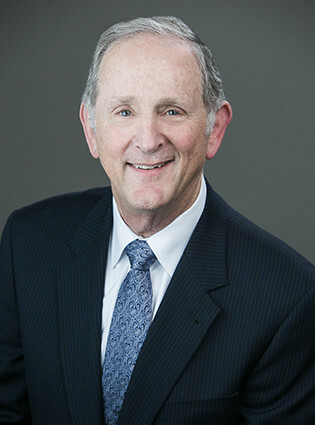 Andy is a partner at Webster Kaplan Sprunger LLP and Chair of the Labor and Employment Law Practice Group. Andy works with employers in all phases of employer-employee relations. His practice includes union organizing efforts, collective bargaining, client counseling, and employment documentation. Andy litigates unlawful termination, discrimination, harassment, wage and hour (both class actions and individual claims) and other employment-related claims before federal and state, trial and appellate courts, as well as administrative agencies. Andy is a frequent speaker on topics including the union/non-union workplace, wrongful discharge, sexual harassment and discrimination, wage and hour, leaves of absence, and other labor relations matters to both business and professional groups; and his articles on these and other employment matters regularly appear in a number of national magazines. Andy works with clients from virtually every segment of the nation’s industrial and service economy. Representative of these are large and small manufacturing companies; trucking, limousine, courier and other transportation companies health care providers, ranging from acute care hospitals to nursing homes, to individual medical and dental practices; and both individual restaurants and chains. Andy received his J.D. from Boalt Hall School of Law at the University of California, Berkeley in 1973 and his B.A. in Political Science from the University of California, Los Angeles in 1970. When not practicing law, Andy is a long distance bicyclist, having participated in three California AIDs Vaccine Rides, a 7-day, 570-mile bicycle ride from San Francisco to Los Angeles, to raise money for AIDS-related charities. He rode through subfreezing temperatures as part of the Alaska AIDS Vaccine Ride – six days, 510 miles from Fairbanks to Anchorage, and sloshed through five days of rain as he rode in the first ever European AIDS Vaccine Ride, a 7 day, 550-mile ride from Amsterdam to Paris. Overcoming a series of obstacles, including not learning to ride a bike until he was 21, not being able to drink water and ride his bike at the same time, a fall during a training ride which broke two ribs and punctured a lung, and a triple hernia repair, Andy has still raised over $50,000 for AIDS charities.